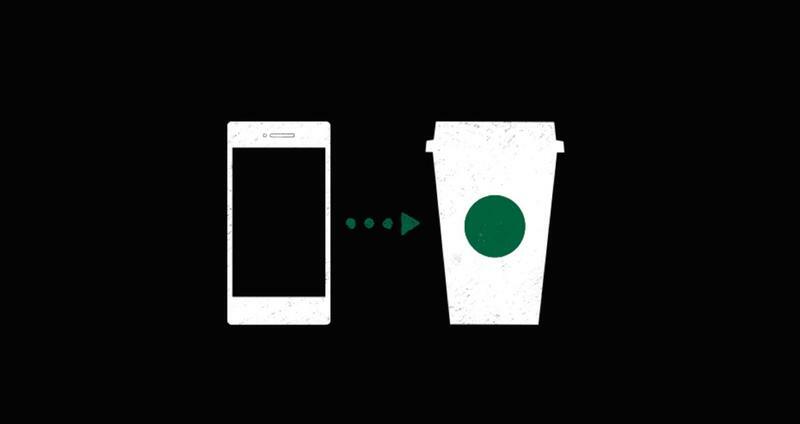 Ordering your Starbucks drink is easier than ever. Today, Starbucks announced the roll-out of its “on command” My Starbucks barista software. 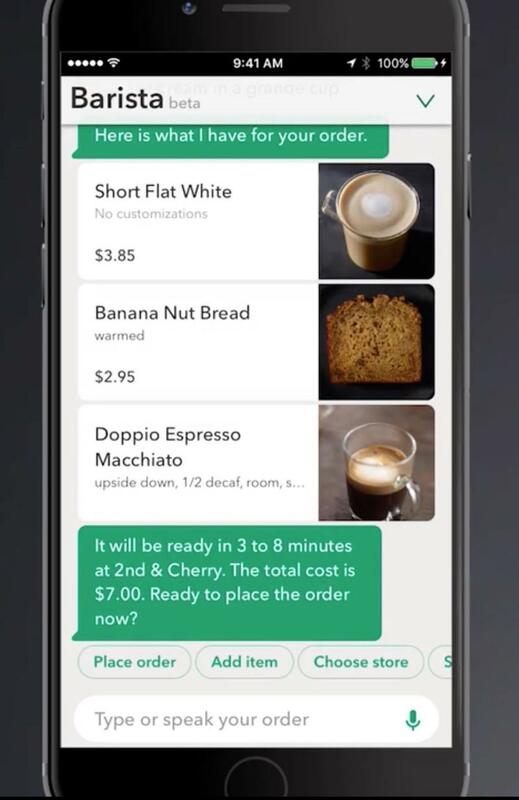 It’s included in a new update that lets you order your favorite coffee drink on your iPhone or Amazon Echo, from home, with just your voice. 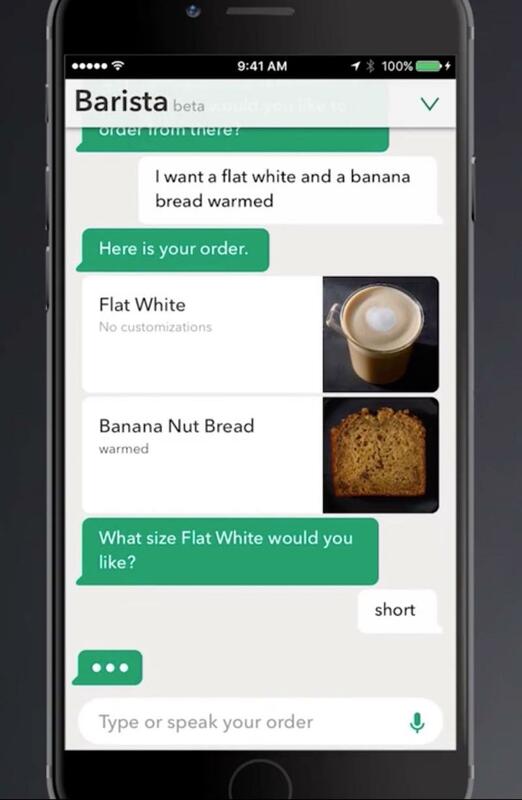 On the iOS app, there will a chat feature with an AI-bot that will let you either speak or write out your order. This still requires you to access the app first—you won’t be able to access the feature when your phone is locked through Siri (at least not yet)—but it’s still pretty cool. The feature will roll out as a beta to a few thousand iOS users for the next couple months. The update will come to Android later this year. On the Amazon Echo, Starbucks is introducing the Starbucks Reorder Skill for Alexa. Once you pre-set a location and a favorite beverage, all you have to say is “Alexa, order my Starbucks.” Alexa will then place your order and charge your default credit card. 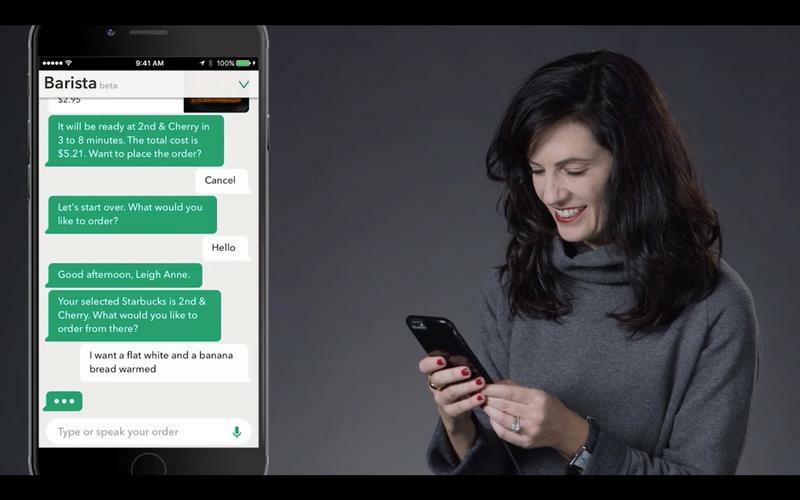 “The Starbucks experience is built on the personal connection between our barista and customer, so everything we do in our digital ecosystem must reflect that sensibility,” said Gerri Martin-Flickinger, the chief technology officer for Starbucks. 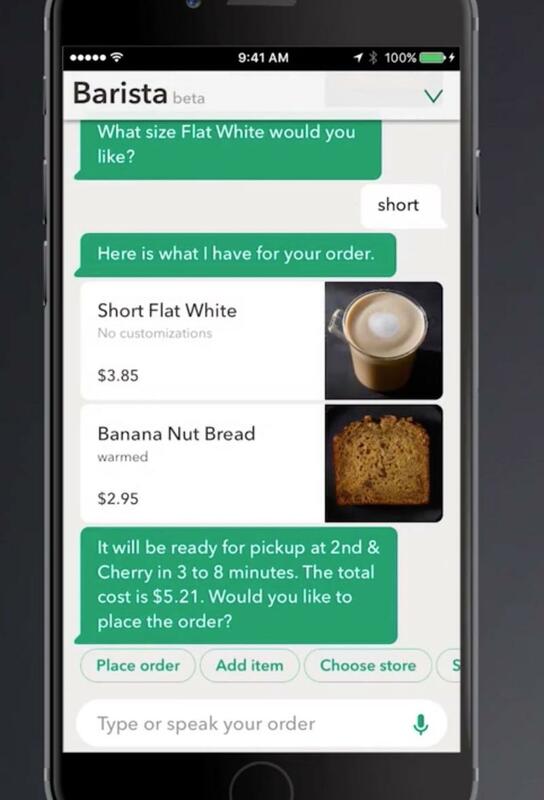 These new updates make it dead-simple to order your morning coffee. Starbucks has been trying to flesh out its “digital ecosystem” for some time. 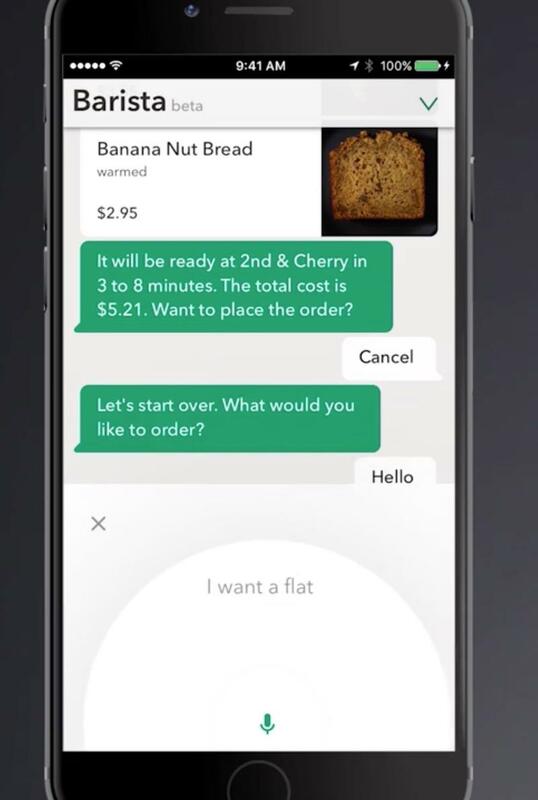 Its big push started last year with the roll out of Mobile Order & Pay, which let customers order and pay for their drink from the app, arriving at the store only to pick up the drink. My Starbucks barista is an addition to the Mobile Order & Pay feature. 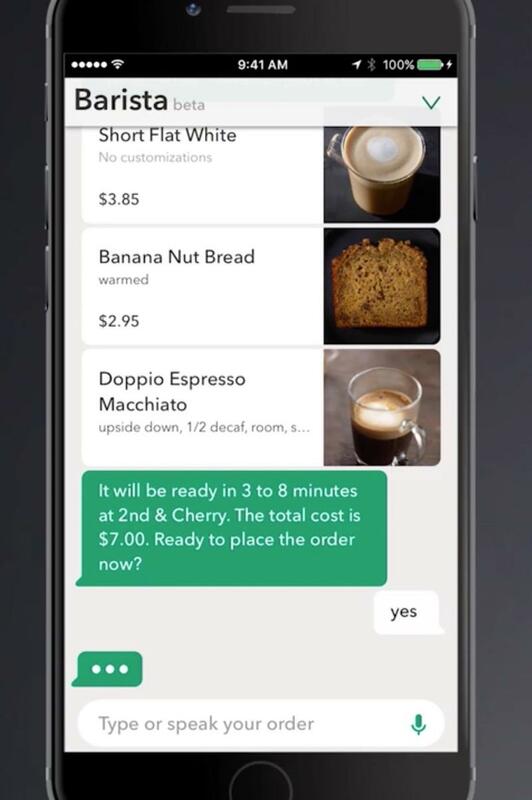 Last year, both Starbucks and McDonald’s deployed mobile ordering as a means to update its ordering system to make it much easier for customers to order coffee or a Big Mac.My guess is McDonald’s and other firms will mimic Starbucks’ moves.